Types of charging leads- list of the different types of charging leads and the vehicles. The majority of electric car (EV) owners charge their car at home, preferably during the night when it is more convenient and the tariffs are lower. A home charging unit that can charge the battery from 0-100% within 6-8 hours (depending on the EV) is highly recommended. A rapid charger that charges from 0-80% within 30 minutes is also available in the markets today. Electric and Plug-in electric car chargers come with a long cable that allows you to recharge your battery at home via the standard household socket. The cable can be as well be used in many public charging stations. An array of factors exists that will enable you choose the correct charging lead for your electric car. 1) Cost- You ought to choose a charging lead that is durable to serve you for a good period of time. A cheap charging lead might turn expensive to you! 2) Capacity in amps- Go for a charging lead that can handle 30 amps and above to enable you cover at least an extra 30 miles in one hour of charging. 3) Charging lead length- Consider the location where your electric car will be parked when charging. The lead should easily reach where it is supposed to go with its appropriate length. Type I (J1772 – 5 pin) Connector - A single phase vehicle coupler. Type II (Mennekes - 7 pin) Connector A single and three phase vehicle coupler. Provides charging through a 120 Volt (V) AC plug and needs an electrical installation. Based on the type of car and battery, AC level 1 offer an extra 3-5 miles of range for the electric car per hour of charging time. The AC level 1 is used when there is only 120V outlet available for charging purposes. You can replenish 40 miles of electric range by charging your car for 8 hours using the 120V! This level of charging offers charge through 240V (typically in residential areas) or 208V (in commercial area). It requires installation of home or public electric car charging equipment and a dedicated circuit of 20-10 amps. This option can operate up to 80 amps and 19.2kW but most residential properties will mostly prefer to operate at a lower power of (30 amps to deliver 7.2 kW of power). A dedicated 40 amp circuit is required here for this kind of power. Many homes have 240V service available thus they will commonly be installed for electrical vehicles owners’homes. 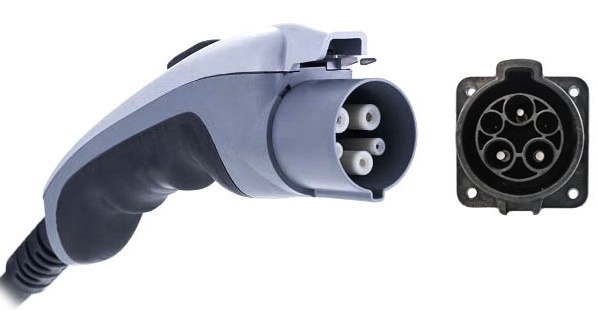 AC level 2 equipment uses similar connector on the electric car just like that of level 1. Depending on the type of car and capacity of circuit, AC level 2 boosts 10-20 miles of range pin every hour of charging time. 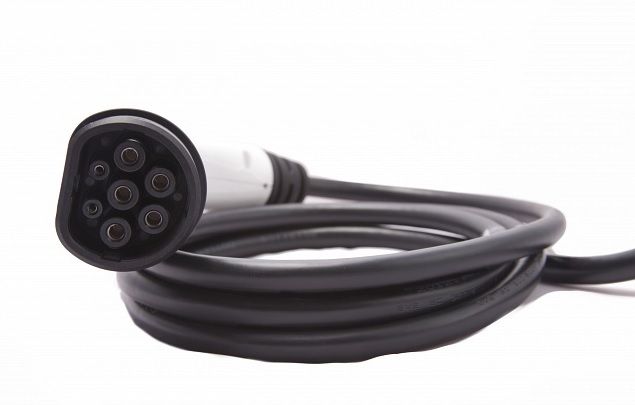 Various types of electric and hybrid car charging leads are present in the market today due to the high demand of electric vehicles and this facilitate the charging of the electric and plug-in hybrid cars. Charging leads for both the plug-in hybrid electric vehicles and all-electric vehicles are basically classified by the rate at which batteries are charged. Periods when the battery is charged depends on: how exhausted the battery is, the amount of energy it holds and type of battery. The charging times thus ranges from 15 minutes to over 20 hours. This charging lead charges your electric car from public charging station or a dedicated charge point at your home. Electric cars compatible with these leads are- Renault Kangoo, Ford Focus EV, Fisker Kama, Chevrolet Volt, Toyota Prius Plug in Hybrid, Vauxhall Ampera, Mitsubishi Outlander PHEV, Nissan Leaf, Citroen C-Zero, Ford C-MAX Energi, Nissan e-NV200, Peugeot iON, Peugeot Galicia. Various cable lengths and colours exist where one can choose from. J1772 to 62196-2 16A Electric Vehicle Charging Lead are safe to use as it offers protection against shock and is safe to use it even in wet conditions. The connection 5 pins are located in the inside compartment thus no physical access to the pins. It has a detection pin attached to a switch which is triggered upon the disconnect button. Hybrid and electric cars compatible with these leads are- Volkswagen e-Golf, Volkswagen e-Up, Volkswagen Golf GTE, Mercedes Class E, Audi A3 e-Tron, Mercedes S500,Mercedes SLS, BMW i8, Mercedes Vito Van, Porsche Panamera, Chevrolet Spark, Volvo V60 and BMW i3. It is important to note that this lead is not compatible with customers owning Renault vehicles. 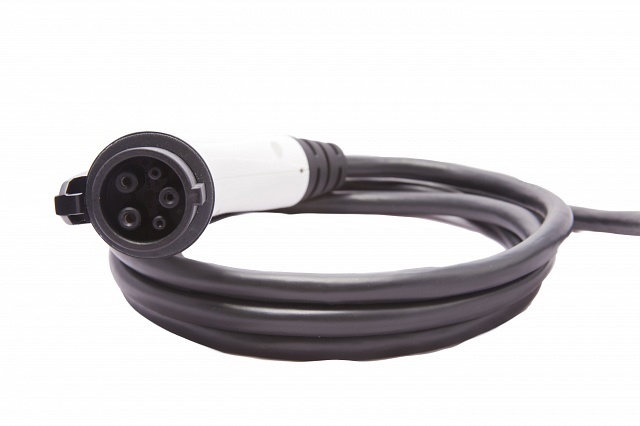 Electric cars compatible with these leads are- Porsche Panamera S PHEV, Volkswagen Golf GTE, Mercedes Vito Van, Renault Zoe, Volvo V60, Volkswagen e-Golf, Volkswagen e-Up, Audi A3, BMW i3, BMW i8, Chevrolet Spark, Mercedes S500, Mercedes EV and Mercedes Class B. This is a rough guide to charging times for the various types of chargers available.